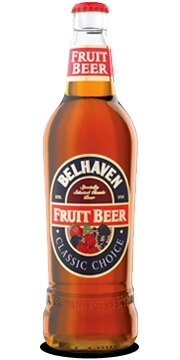 Abv 4.6% Not just the domain of the Belgians, we Scots have combined another two things we're great at - beer and soft fruits. Not too sweet though, for its great fruity addition, it's got just the right balance of fruit and bitterness. A perfect beer for summer days (raining or otherwise). Недостаток все таки имеется, после полбутылки пиво просто не лезет, хочется чем-нибудь запить, не верю что говорю это, но пиво чрезмерно насыщенное и сладкое.